Reflected ceiling plan design guide provides you many useful advice for you to make reflected ceiling plans. Drawing reflected ceiling plans has never been easier. A reflected ceiling plan (RCP) is a kind of diagram which shows the items that are located on the ceiling of a room or space. When you are looking up at the ceiling, you will find out various ceiling elements on the ceiling. Reflected ceiling plan helps you clearly show those reflected ceiling plan elements. Many people have difficulty in reading reflected ceiling plans. Now we give you some tips on how to read reflected ceiling plans. We believe that it will be of great use when you read reflected ceiling plans. Tip one: pretend that you are hovering a couple of feet above the ceiling. Tip two: imagine that the ceiling below you is transparent (see-through). Tip three: visualize the ceiling over the floor below. Tip four: Read a reflected ceiling plan using this concept. Tip five: notice how the reflected ceiling plan relates to the floor plan. Tip six: observe the relationship of light fixtures to the furniture below. A reflected ceiling plan should include the following items. First, Lighting locations - Showing the box connecting to the electric system. Then drops or ceiling height changes. Type of light fixture - Is it a sconce, Ceiling or recessed light. Switching locations - From where do you turn the light on. Notes referring to another floor. Notes referring to the type of fixture or instructions - Is it a clg. Fan, it might need more support. Exhaust fans or exhaust hoods. Air diffusers and vents/HVAC. Speakers from stereos or other communication devices. Smoke/fire/carbon monoxide/fire protection/alarm devices. Any item decorative or structural, which touches the ceiling. Show windows but not doors - show lighter lines where door would be. When looking the reflected ceiling plans templates, most people used to think it too difficult to draw reflected ceiling plans themselves, so they only hire professionals to draw reflected ceiling plans. However, the fact is that making reflected ceiling plans yourself can be pretty easy if you have chosen reflected ceiling plan software. 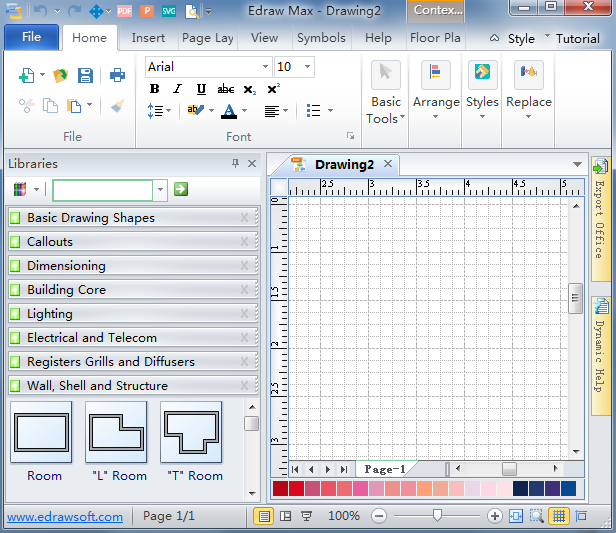 First things first, open Edraw Max and choose "File". Then point to "New", point to "Floor Plans". 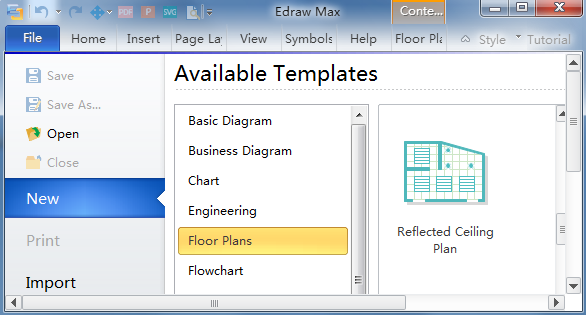 From "Templates", double click the "Reflected Ceiling Plan" to start the drawing page. 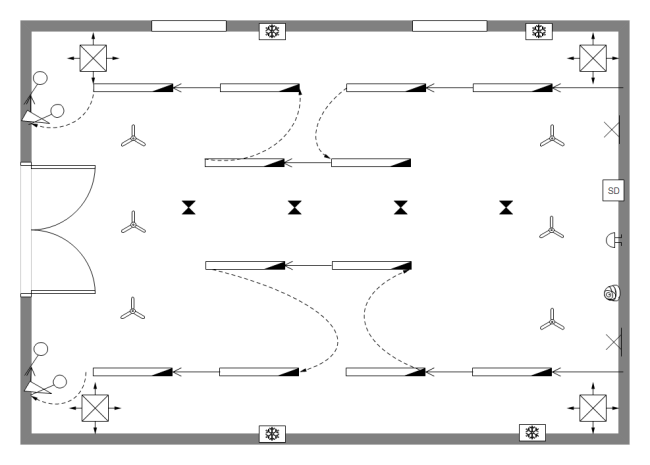 On the left of the canvas, in the library many standard reflected ceiling plan symbols are available to use, which shall greatly facilitate your drawing of reflected ceiling plans.